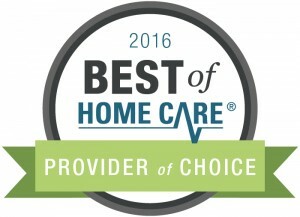 [DAPHNE, Ala.] – January 10, 2017 – FirstLight Home Care of Mobile & Baldwin County is proud to announce that they have been selected as one of the 2017 “Best of In Home Care” Award winners by SeniorAdvisor.com, the largest ratings and reviews site for senior care and services in North America. SeniorAdvisor.com’s Best of 2017 Award winners represent the best of the best of in-home care, assisted living and other senior living providers, based on online reviews written by seniors and their families. This exclusive designation honors the top percent of senior care providers across the country. The annual SeniorAdvisor.com Best of Awards tabulate over 130,000 family-created reviews to find the best quality care providers for this honor. Of the nearly 200,000 communities currently listed on SeniorAdvisor.com just over 1,400 were recognized with this prestigious award. 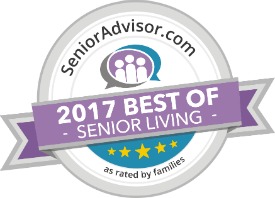 SeniorAdvisor.com is the largest consumer ratings and reviews site for senior living communities and home care providers across the United States and Canada. For more information, visit www.SeniorAdvisor.com or call (866) 592-8119. 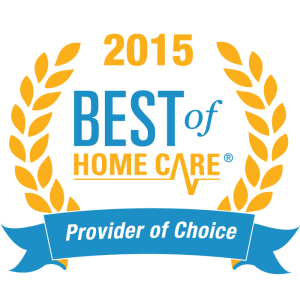 About FirstLight Home Care of Mobile & Baldwin County, Ala.
FirstLight Home Care of Mobile & Baldwin County is a 2017 winner of the “Best of In Home Care” Award from SeniorAdvisor.com. We provide home care to seniors and any adult over the age of 19. In addition to caring for seniors, our Certified Nursing Assistants provide personal and companion care services to adults with disabilities, busy moms, those recovering from illness, injury or surgery, and anyone who needs extra assistance. 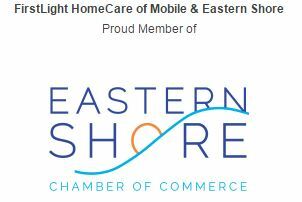 Visit our website at www.Mobile.FirstLightHomeCare.com or call our office at (251) 300-8515 to speak with a member of our professional team.